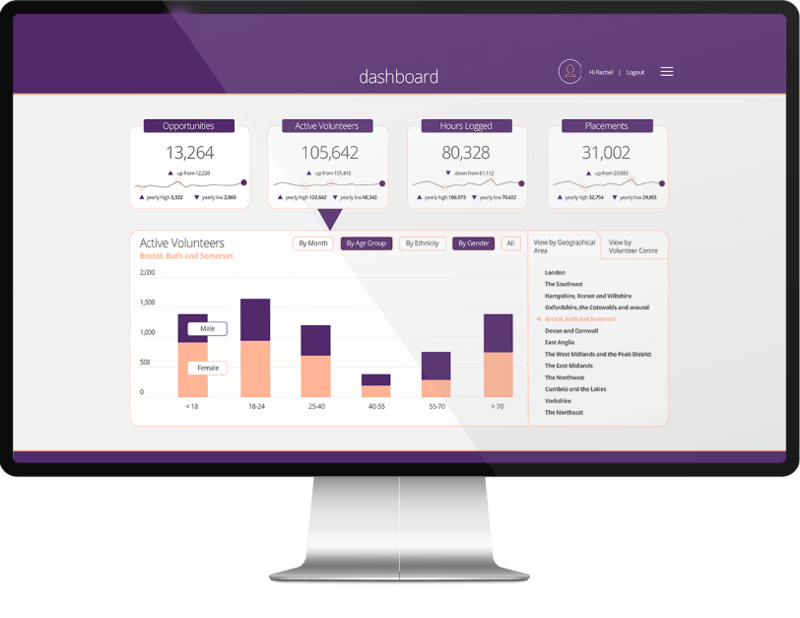 Volunteer Space is a powerful cloud-based platform that provides corporates and charities with the tools needed to manage the entire volunteering or mentoring journey while revolutionising the way volunteers are recruited, managed and engaged. Being able to streamline volunteering and mentoring opportunities enables a managed community to be built that matches volunteers or mentors with relevant skills, interests and training. Businesses can use Volunteer Space to maximise the success of their Corporate Social Responsibility objectives whilst minimising the costs associated with impactful volunteering within their work force. Extensive analytics capture valuable insights that enable charities and businesses to report and deliver effective volunteering and mentoring. Publish volunteering opportunities and manage the full application process from Interviews, training and inductions. Organise your team, build powerful insights, manage activities and events. Engage volunteers, keep them informed and highlight their achievements to build lasting relationships. Easily attract volunteers who meet your organisation's needs. Manage every step of the application process easily. Volunteering opportunities, inductions, interviews and training courses can all be booked and managed online. Keep everyone in the loop and organise all of your volunteers from one place. Create sessions, manage applications and verify attendance. Powerful analytics give insights into volunteer activity to support ongoing activity. Volunteers' hours and personal development accumulate on their own volunteering profile. Recognise efforts and say thank you. Volunteers are up and running in minutes with intuitive processes and online support. More information on Volunteer Space?